It’s been more than six months since my last visit to Kuantan and since Rif and I had to attend a dinner relatively nearby, we decided to make a one-day pit stop there recently. The weather was quite chilly, with drizzles and strong wind, so if you travel to Peninsular Malaysia’s East Coast at this time of year, it’s best to take a sweater or shawl with you. Our first stop for lunch was at Jess Cafe, which is well known for its Hakka yong tau foo (bean curd and vegetables stuffed with pastes of seafood and meat). The small cafe was packed but we managed to find one table outside before more people started streaming in. Rif ordered the yong tau foo with dry kuay teow (RM6.90) and I, the yong tau foo with curry kuay teow (RM7.20). We waited a rather long time for our noodles – almost 30 minutes – and then they forgot my order, causing another 15-minute wait. Good thing Rif let me have a few bites of his noodles, otherwise I would have been famished and rather annoyed by the time I got mine. The yong tau foo was quite good. The stuffing was pretty generous, and it had bits of chives and dried cuttlefish. 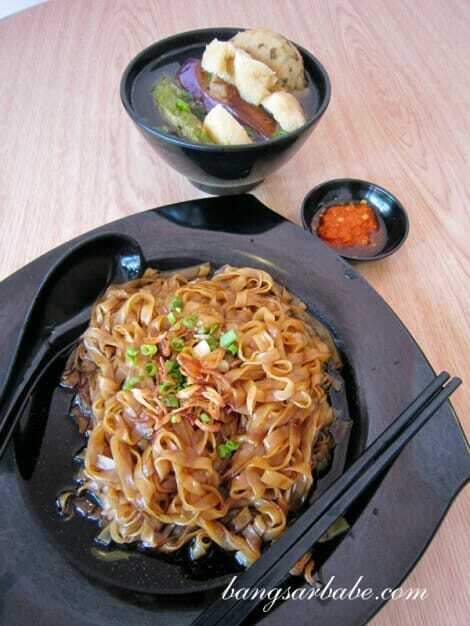 The dry kuay teow was all right, but I enjoyed my curry kuay teow more. The curry broth – dotted perfectly with burnt orange oil – was both thick and flavourful. I drank every drop! 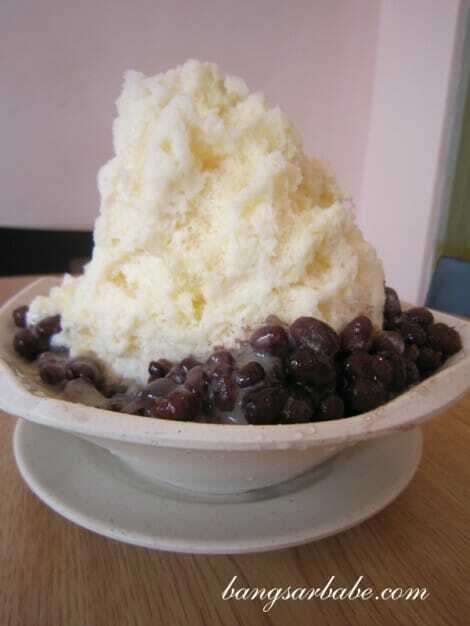 One thing, though: The red bean milk snow ice (RM4) is merely shaved ice with condensed milk and red bean topping – I regretted ordering it. We had an early dinner at Ah Wah, a simple restaurant that serves Chinese and Thai food. Rif had tried it with his colleagues before and decided to take me there as he knew I would enjoy the assam (sour) fish (RM22). We opted for the tilapia and it came in a metal serving dish with a hot plate of charcoal underneath to keep it hot. 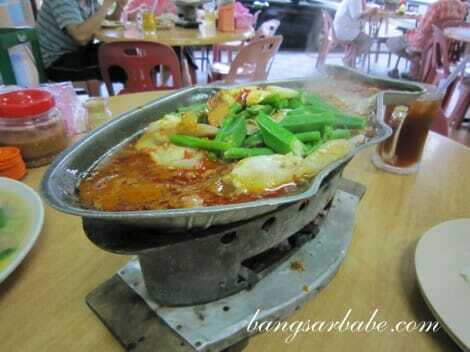 The fish was fresh and its usual muddy smell was cleverly masked by the fiery gravy. I enjoyed spoonfuls of the spicy and sour assam broth and liked that it was refillable. All you need to do is ask for more broth, and the staff will come over and refill the dish for you. Note that this broth is quite spicy – definitely not for those with butter tongues. Also decent was the pandan chicken (RM2 per piece). This was fairly moist and tender, and paired nicely with the sweet chilli sauce provided. Don’t bother ordering the Cantonese Fried Noodles (RM5), as it was tasteless and the noodles had no wok hei (charring from cooking in a wok over high heat). 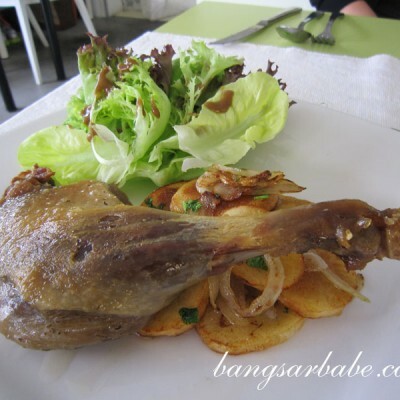 Our meal came up to RM40 inclusive of drinks, and I found it pretty good value for money. 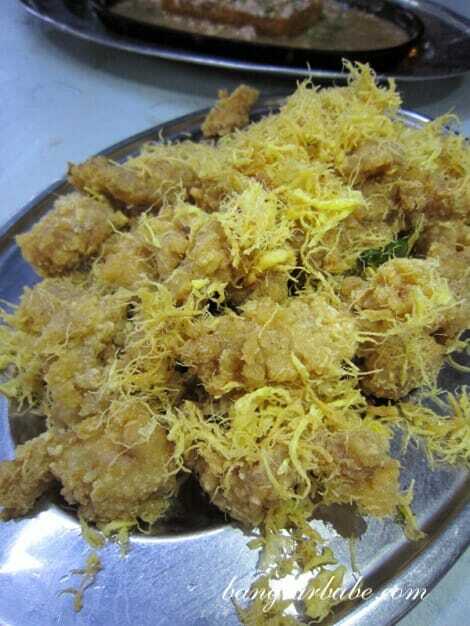 Another restaurant we checked out was the famous Alor Akar Seafood Restaurant located off Jalan Beserah. During weekends and public holidays, the crowd can be overwhelming. We were there at 9.30pm and the place was still packed with hungry diners! Unfortunately for us, they had run out of their signature herbal chicken dish by then – never mind, that just calls for another visit! Rif and I ordered the butter-fried mantis prawn (RM12), salted egg yolk squid (RM12) and the sizzling homemade tofu with minced pork and salted fish (RM8). We waited for 45 minutes before our food arrived and that at a time when the kitchen was already in full swing. I thought the tofu was simple and well-prepared. 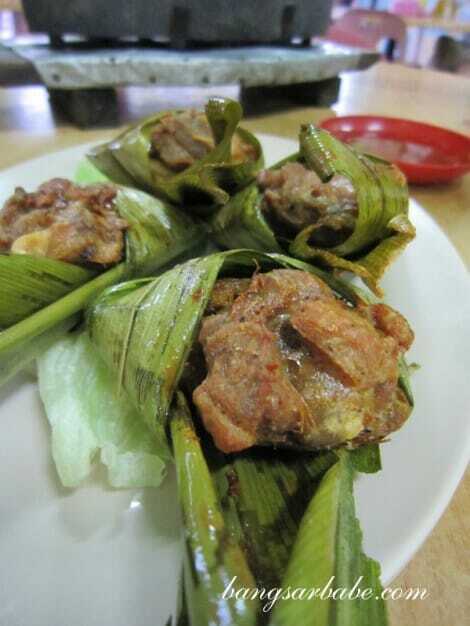 The minced pork and salted fish topping evoked memories of my grandmother’s cooking, and it was delicious with white rice. This is a dish I could eat every day without tiring of the taste. 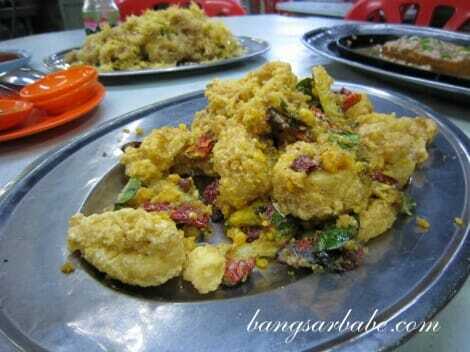 The salted egg yolk squid came coated in plenty of yolk. It tasted quite decent but was not hot when it arrived at the table – it obviously would have been much better piping hot. The same went for the butter-fried mantis prawns, which had a good balance of batter and flesh. It was fluffy and meaty, with a buttery aftertaste. A pity this dish was just warm when we had it. Portions were generous and our meal was an affordable RM32.70. Foursquare can sometimes work like a gem when you’re looking for new places to eat at. Rif and I found out about Kedai Kopi Ah Soon via this mobile app, and made a quick stop for lunch before heading back to Kuala Lumpur the next day. According to some of the tips at Foursquare, the nasi lemak and curry noodles are a must-try. Alas, we got there too late (12.30pm) and they had run out of the former. 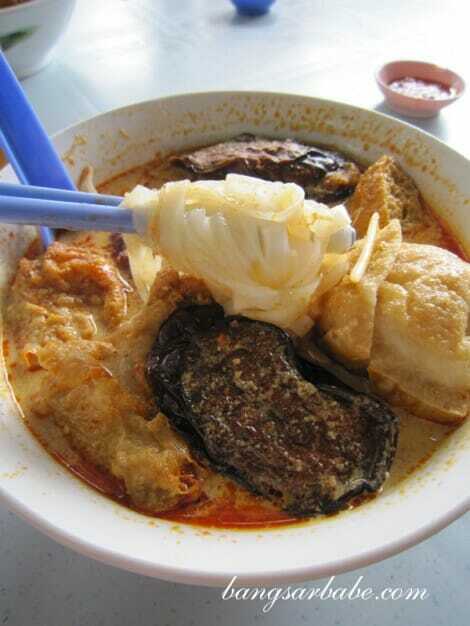 In the end, we only got had the curry noodles with yong tau foo. I thought the noodles were nothing to shout about. 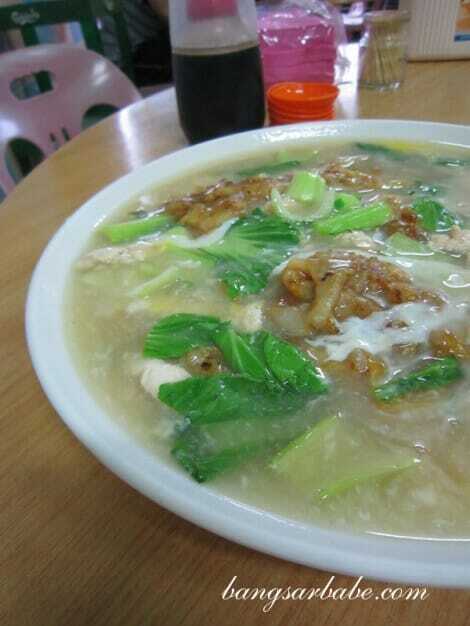 The broth was more diluted compared with the one at Jess Cafe and it was also less aromatic. 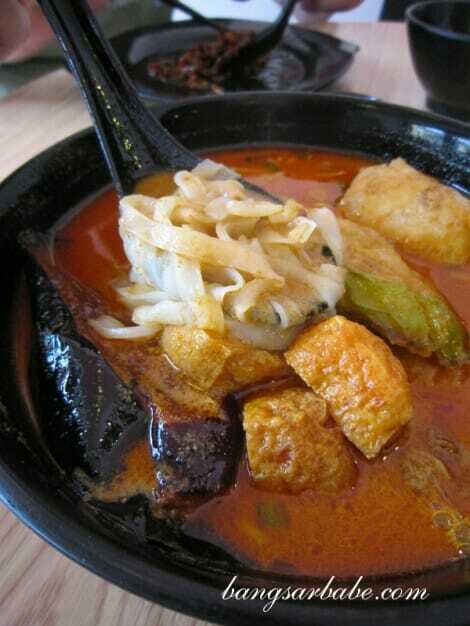 That said, we both agreed that the yong tau foo was quite good, especially the brinjal and fu chok (bean curd sheets). The fish paste stuffing had a lovely bite and was seasoned just right. We paid RM10.40 for two bowls of noodles, one large and one small. Prices vary depending on how many pieces of yong tau foo you order. Well, this last 2011 trip certainly bodes well for my 2012 food hunts. Happy New Year, everyone, and keep those tweets with yummy suggestions coming! *Read my Star2Sunday article here. Yeah…it’s quite chilly. Strong wind. 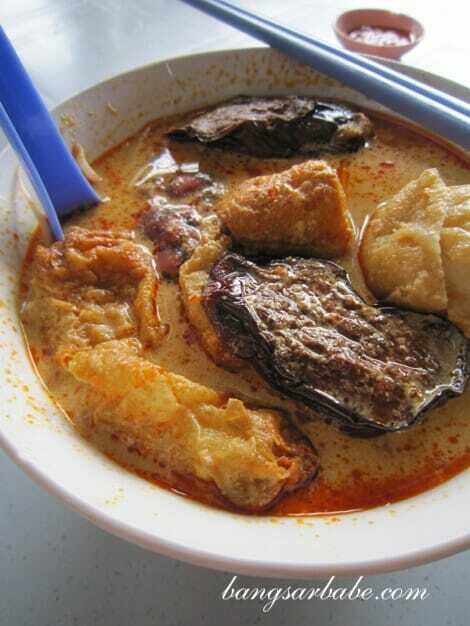 Next time u’re in Kuantan, u should head towards Kemaman and try out the curry mee there. Where? Do share the location!